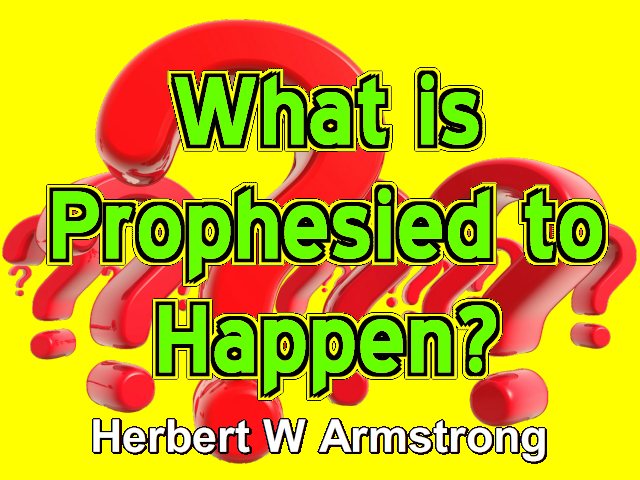 What is Prophesied to Happen? And now once again continuing, what is prophesied to happen to the United States? My friends I've been telling you that after we have learned some lessons and it's prophesied that we shall, we have lessons to learn, we shall learn them. We're going to have to suffer to learn them I'm afraid, because we're just like our forefathers have always been and as God's word says in the prophecies of your Bible, we're stiff necked and a rebellious people a people that have never heeded a warning, never. You find one place in the Bible where one Nation heeded a warning when God sent Jonah over to Nineveh, the Gentile city of Nineveh they heeded the warning.